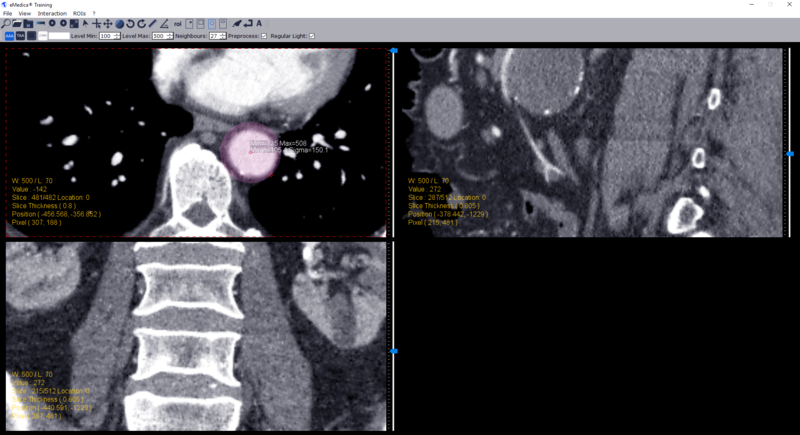 Vascular Training 1.0 is a software used for training in medical imaging of a 3D aorta. 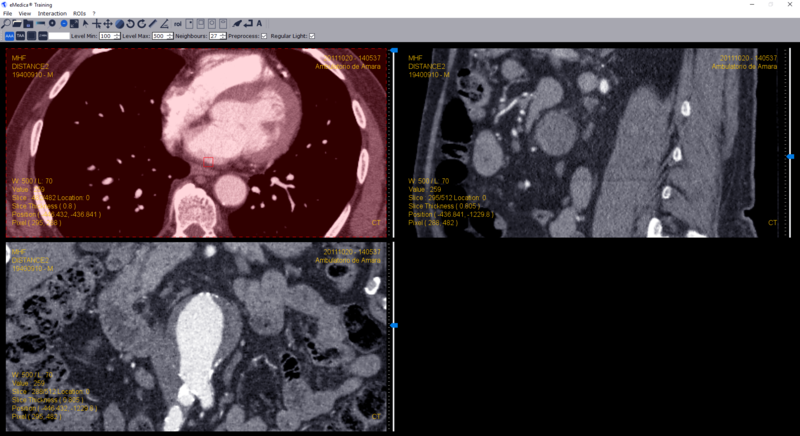 It is a software intended for use by universities, as well as training and research centers. The program is compatible with Windows and OS X. 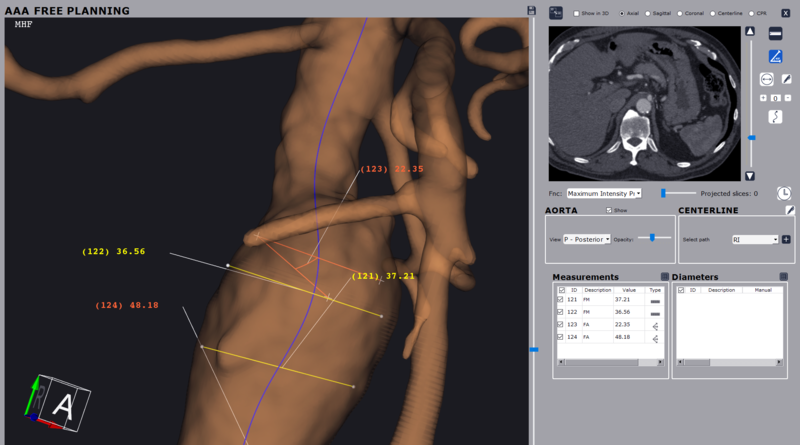 3D Reconstruction of the segmented aorta with an overlay of 2D drawings for reference. 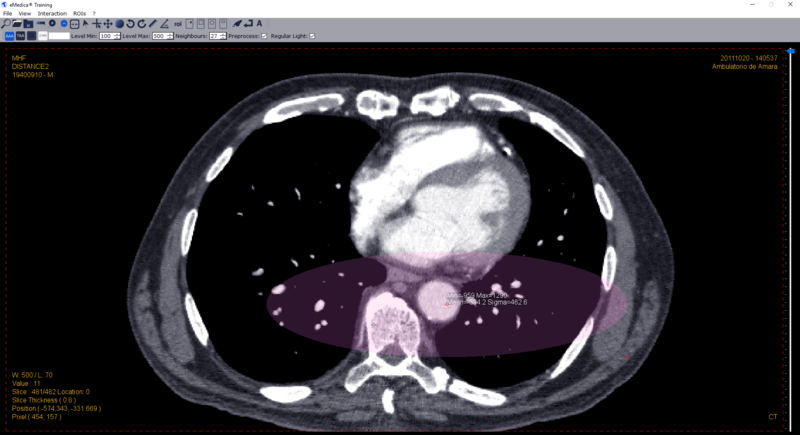 Analysis of the aorta with straight measures, measures through the centerline and outline, diameters, angles, CPR and MIP reconstruction, etc. Mac 10.10 64 bits and above. Windows XP 64 bits and above. -Intel Core 2 Duo, 4 GB RAM, card chard with OpenGL support. 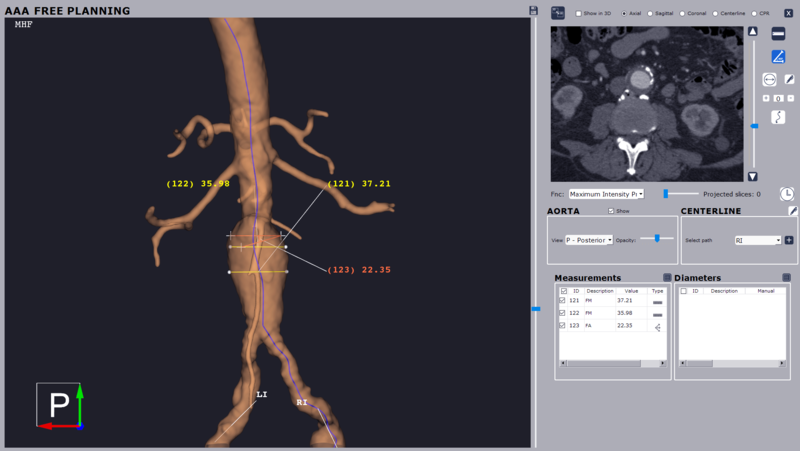 Get your own trial version and have 30 days of unrestricted access to all the functions of Vascular Training 1.0. See its potential.